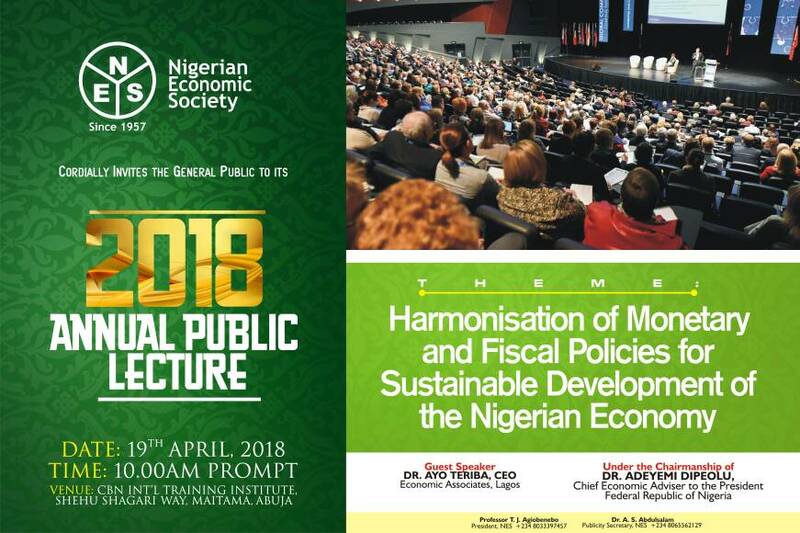 Nigerian scholars in Economics and allied Social Studies formed the Nigerian Economic Society (NES) in 1957 as a non-profit, professional organization. It was formally established with the adoption of its constitution on 4th January 1958. 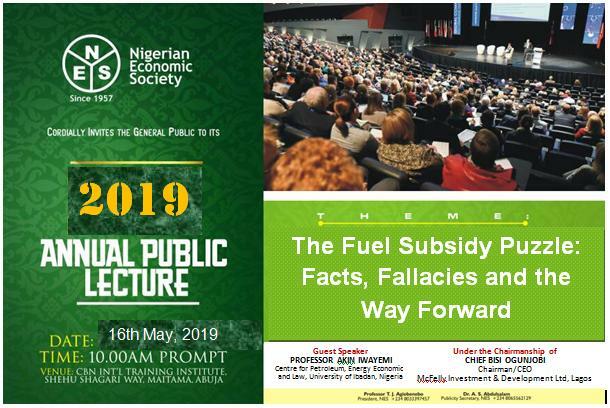 The object of the Society is primarily to encourage the study and discussion, by members and the interested public in Nigeria and abroad, of economic and social problems facing Nigeria. Holding annual general meetings, conferences, and seminars on the economy and society, with opinions, views and recommendations regularly offered. Publishing The Nigerian Journal of Economic and Social Studies (The NJESS), books, proceedings, and monographs. Contributing to the economic and social policy formulation in the country through open and confidential memoranda to the government. This grade of membership is for graduates of up to five years or less. Associate members shall advance to full membership after 5 years of Registration and fully paid up. Business or non-academic departments of tertiary institutions are eligible for admission as corporate members. Institutional membership is open to academic departments of tertiary institutions. Paid-up full members after 5 years of registration are qualified to be admitted as life members of the Society on payment of the prescribed once-for-all subscription fee. Organisations which qualify to be corporate members automatically qualify to be life corporate members on payment of the appropriate once-for-all subscription fee. Any graduate of economics or allied subjects (Nigerians and non-Nigerians), or anyone adjudged to be sufficiently knowledgeable in Economics or allied subjects by the National Executive Council is eligible for admission into the Society on application. All intending members shall apply to the Council through the Business Manager for admission to membership by completing the prescribed form either online or hardcopy and payment of the stipulated fee as applicable. Registration for membership of NES and payment of registration fee can be done anywhere in the world. 7. Scan and send your academic credentials to us as an attachment to nesibadan@gmail.com. Every member shall, according to the category of membership, pay an annual subscription or a once-for-all subscription fee as shall be determined by the National Executive Council from time to time. The rates for the various categories and grades of membership, that is, Life, Associate, Full and Institutional membership are as indicated above. Membership shall be renewed at the beginning of every year by the payment of the annual subscription. Every member (Individual or Corporate) shall be invited to the Society's lectures workshops, seminars, conferences etc. through a Poster or the regular Newsletter of the society and advert in the national daily newspapers. Paid-up members shall also be entitled to attend and participate in the Society's Annual General Meetings. Corporate/Institutional members shall be represented by their accredited representative. Full and Life members shall be entitled to free copies of the Society's Journal issued in the years for which they have paid their appropriate subscription fees fixed by the Executive Council. Issues of other publications will be paid for if desired. Paid-up Corporate/Institutional members shall be entitled to copy of the journal and issues of other publications free of charge for the years they have paid-up. Any unregistered person or Organisation also shall obtain from the Society any of the society's publications, (the Journal NJESS and other publications) issued by it at prices fixed by the Executive Council from time to time. Full or Life members shall be privileged to use the letters FMNES, LMNES respectively against their names to indicate their membership of the Nigerian Economic Society, as long as they are paid-up members. Full members of at least 10 years standing or less shall have the privilege (at the discretion of the Executive Council) of being nominated for election to the Fellowship of the Society for NES, provided such members also satisfy the conditions prescribed for this honour in the Constitution of the Society, Elected Fellows may use the letters, FELNES after their names.